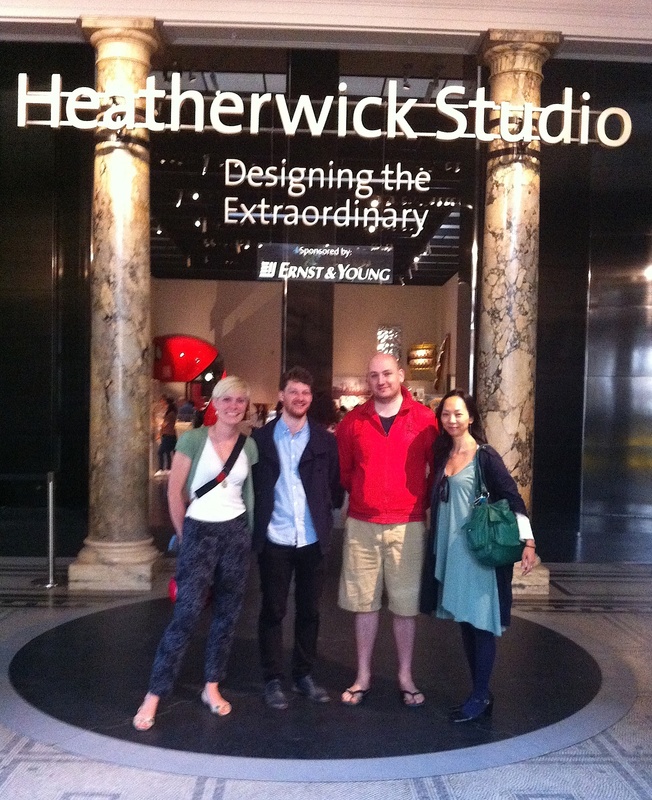 The OpenIDEO web start-up challenge winners had a London meet up at the V&A museum last weekend for a curated tour of the Heatherwick Studio exhition. 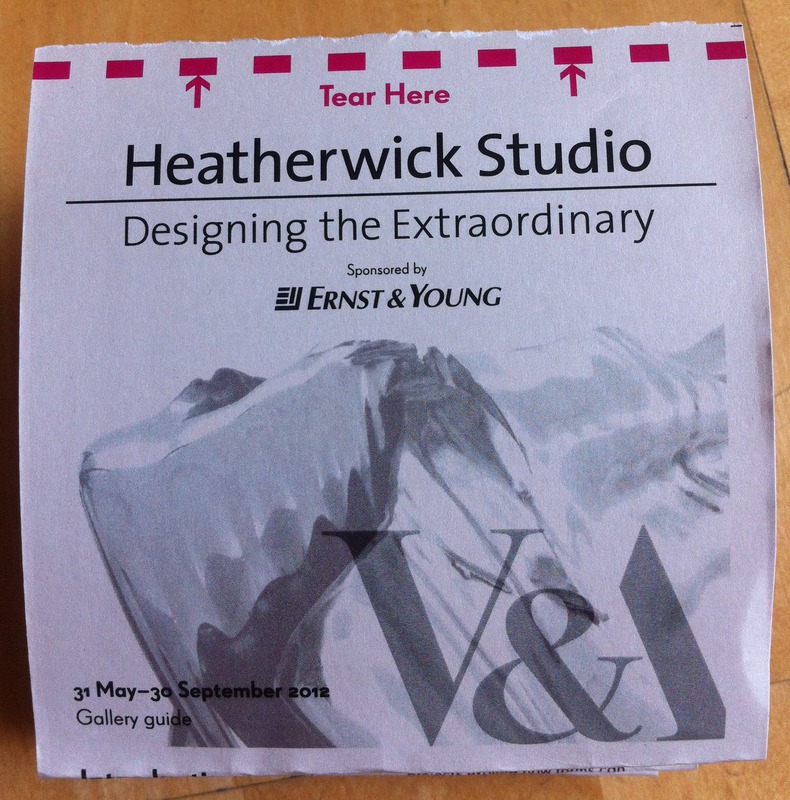 We were very lucky to be accompanied by Stefan Ritter, Designer at Heatherwick Studios who took us round his favourite pieces in the exhibition. The exhibition contains just one room of artifacts but you could spend hours in there looking at the vast variety of designs. From bridges to handbags to Christmas cards and benches – the exhibition is very inspiring and shows how the studio are experimental and innovative with a range of materials. The start of the exhibition is where you collect your guide – but not just any old guide – the studio wanted to visually show how much paper is often used for producing show guides. 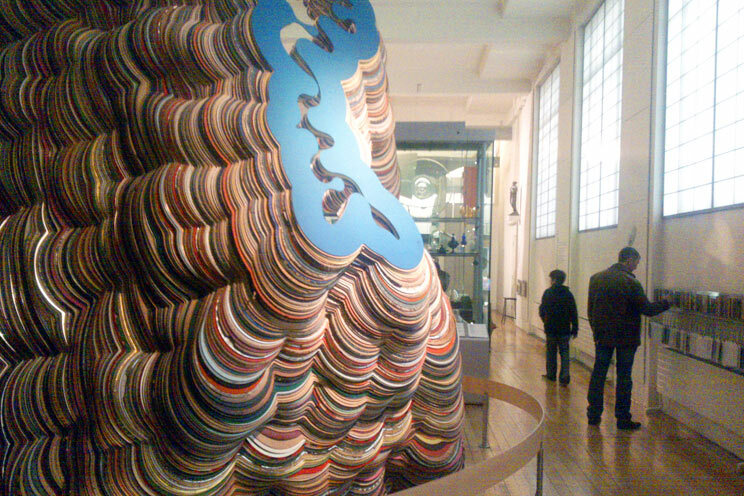 Here they had 1 tonne of paper stacked up in different diameter rolls to look like pottery on a wheel. 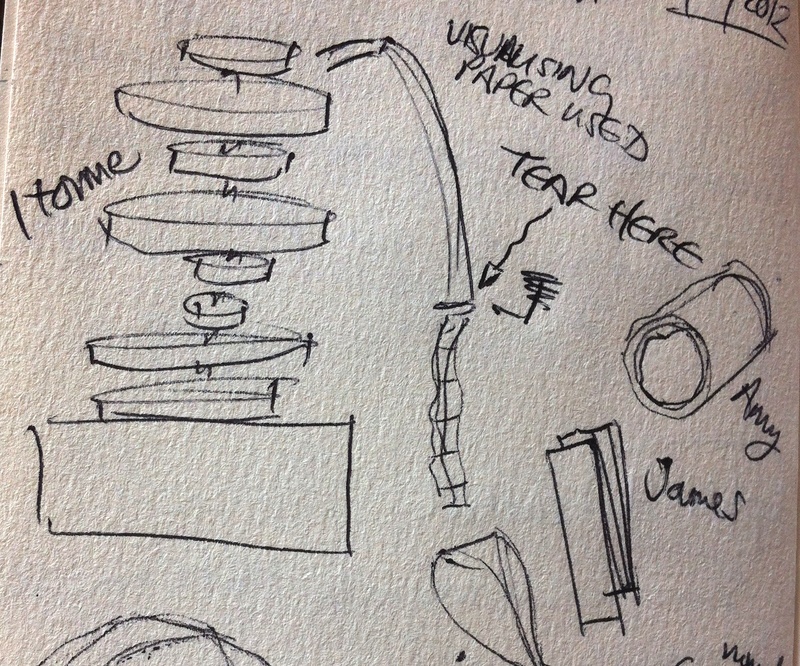 The visitor can winde a handle to release the paper strip, then rip it off at the correct point. 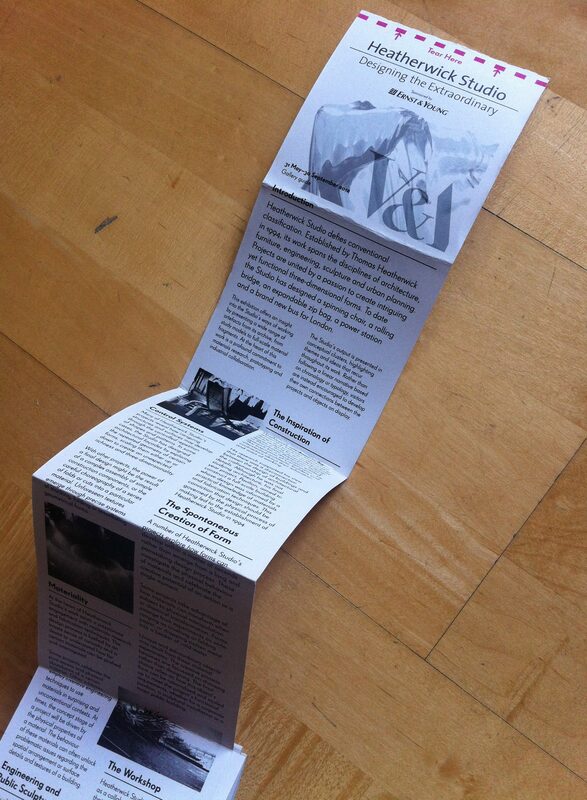 The playfullness of ‘creating’ your own guide is a great way for visitors to interact with the paper they are using. Should you take a guide at all and save on paper or should you take the guide with you with the understanding of how much paper you have taken? I thought it interesting to see how visitors then held their guide. Some rolled it up, others folded it neatly and some looped the paper to keep it uncreased. The first piece we visited was the extruded bench. 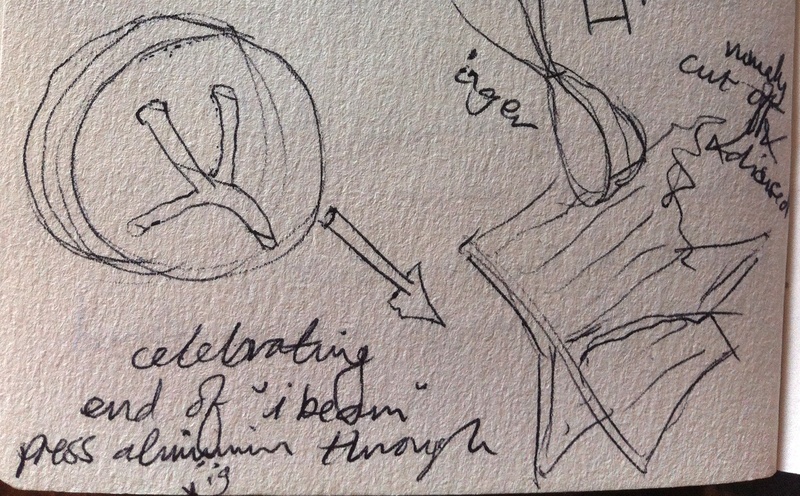 Inspired by iBeam contruction, the designer wanted to celebrate the normally discarded end piece of material. When an iBeam is extruded through a tool, the end is irregular and distorted and therefore cut off. A tool was made by the studio and the aluminium pressed through. The result, a beautiful piece of art which creates a bench to be sat on. One end is clearly a highly polished bench while the edges of the end create an interesting, unusual, unpolished shape. 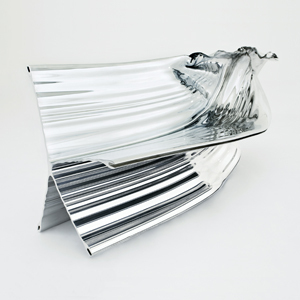 The bench is therefore one piece of solid aluminium. The explanation of the piece said ‘we were interested in consorted forms that emerge as metal is squeezed through a die’ – exquisite! I hadn’t appreciated that Heatherwick Studio had designed the new London Route Master bus. It was great to see a cross section on the vehicle and understand about the inspiration for the design. 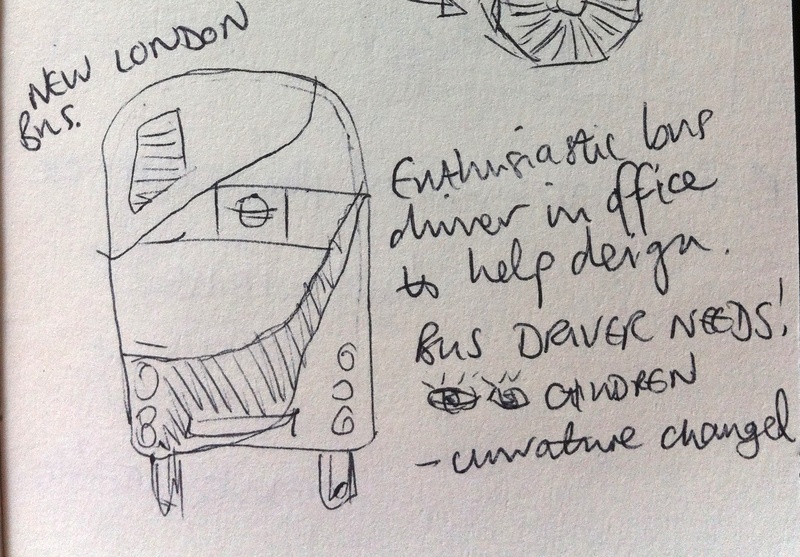 The studio worked with bus drivers to discover what design changes would make the bus more appealing to them to drive and even had an enthusiastic driver in their studio throughout the process. Apparently it is important for bus drivers to be able to see children and people misbehaving on the bus, therefore the curvature of the interior was designed accordingly. Passenger flow and air flow were also very important to consider when designing the new bus. Heatherwick designed a low cost set of artists studios in Aberystwyth, Wales. 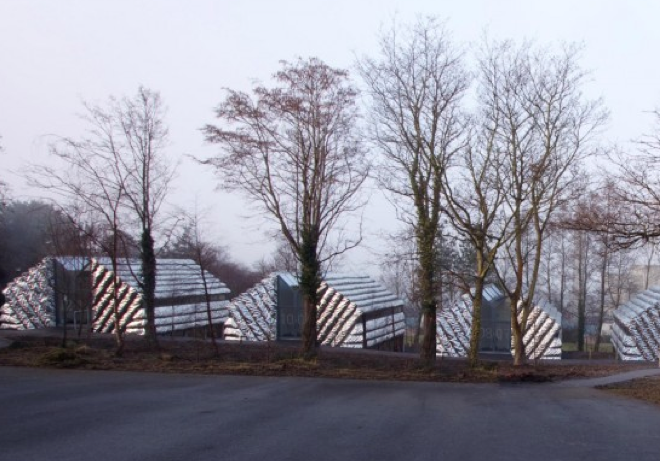 A really unusual set of buildings with an intriguing shape made out of crinkled aluminium. The structures are made out of a wooden structure with insultation foam covered by aluminium. The jig that was designed to crinkle the aluminium (to give the material strength) was fascinating. Each piece needed to be pushed through the teeth on the jig to create the unusual shape. 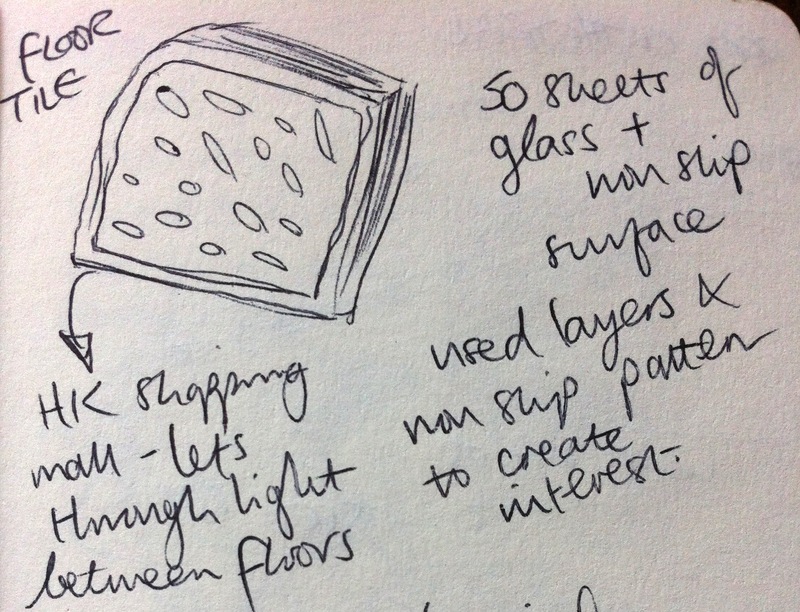 I really liked the floor tiles that Heatherwick had designed for a shopping centre in Hong Kong. The design aimed to allow light to pass through the floors but had to be suitable for people to walk across in a busy environment. Each tile contains 50 sheets of glass (for health and safety regulations) and a top layer with a non-slip surface on it. The designers used the layered glass and non-slip surface as a feature to create a very eye catching pattern through out the tile. Material libraries can be a huge database of materials to search through and it can be hard to display materials effectively. 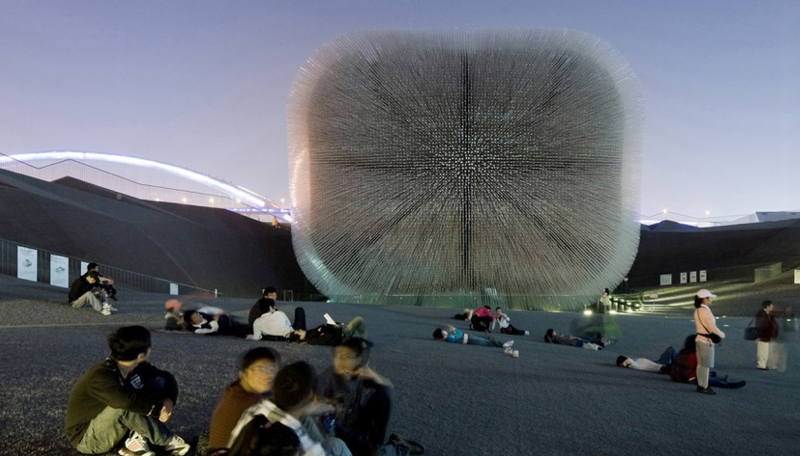 The Science Museum commissioned Heatherwick to find an innovative way to display their materials and the result is fantastic. The Material House layers the materials into a scultpure with each access to the different pieces. Each acrylic rod was held in a wood structure with a transparent end to allow light in and a seed holder at the other to show case seeds from around the world. The exhibition is on until 30th September and I highly recommend a visit. A good hour will allow you to look at each piece on display but a couple of hours will allow you to properly absorb the beautiful pieces on show. The prototypes and models that accompany each piece really interested me. A finished product is always good to see but understanding the idea behind the product and seeing how it has developed from a concept really fascinates me. 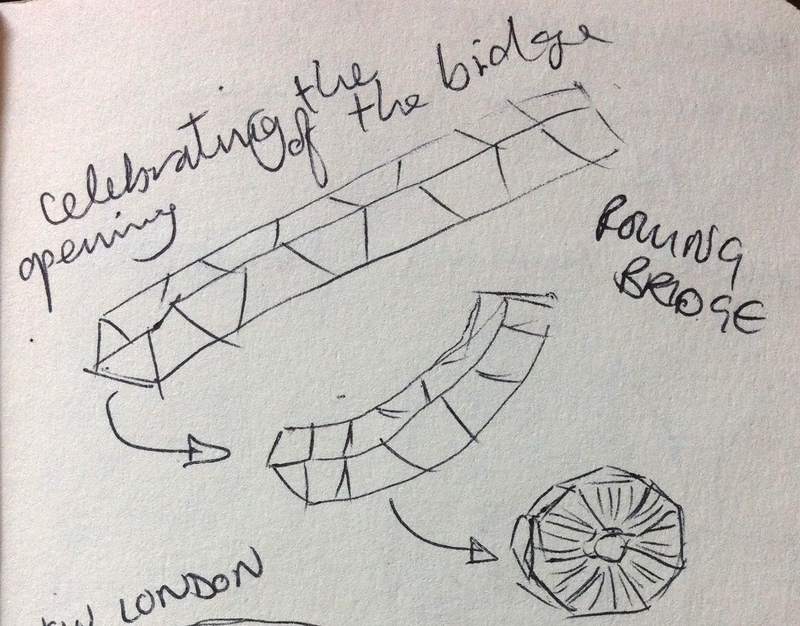 I was unfamiliar with Heatherwick Studio work before I attended the exhibition – now I’m very impressed with the innovative use of materials, pushing of design boundaries and imagination that has gone into each project. OpenIDEO set social challenges and put call outs for people to design solutions, better together. I’ve been involved in a number of the challenges over the last couple of years and each time find myself becoming more and more involved. People are often intrigued as to why I choose to volunteer my time to contribute. That’s easy to answer; as a design interested in design for social good, it ticks all the boxes; I know I’m helping develop ideas to help others and help huge social issues, I get to meet designers and creatives from all over the world (albeit virtually) and I learn a huge amount. Other people’s point of view, suggestions, ideas and help is invaluable for developing myself in the world of social design. 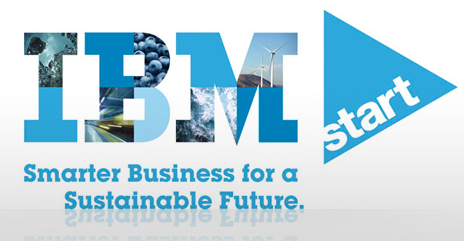 The web start-up challenge interested me as I’ve increasingly found myself involved in web start-ups. The web opens up the potential of innovation, it is continuing to grow and more and more opportunities are appearing. Following on from my own experiences and from speaking to web start-up founders it was clear that the majority have failed at some point in their career – they have either completely changed direction, closed one business and started up another or spent longer than expected to be successful. I believe that things happen for a reason and that positives comes from every negative – let’s embrace failure, let’s change our culture of hiding away from failure and let’s learn from other people’s mistakes. 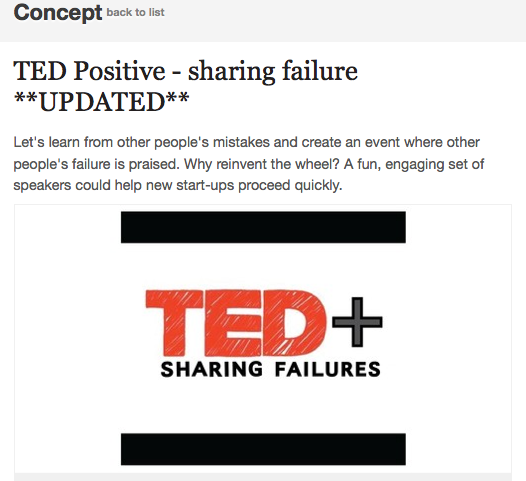 That’s where the TED+ sharing failures, concept idea came from; let’s encourage people to talk about their failure stories and use the TED model to do this. Being chosen as one of the 10 winners of the challenge was very exciting but being invited to share the concept at the Europrean Commission and collect an award as part the Digital Agenda Assembly was incredible. Although the community on OpenIDEO had provided really valuable feedback and contributions, having the opportunity to discuss the concept in person with members of IDEO, the other winners and members of the European Commission really helped develop the concept on even further. It was clear that introducing another Failure conference series may not be the best way to realise the concept – I want to reach everyone, change the culture, build a community and help people possibly scared to launch into the start-up world to realise they can do it. TED Positive has moved to www.myfailtale.com – the site is aiming to create a movement. It will be the place to share and learn from others. It’s your one-stop website for all failure stories told in a fun, positive way! 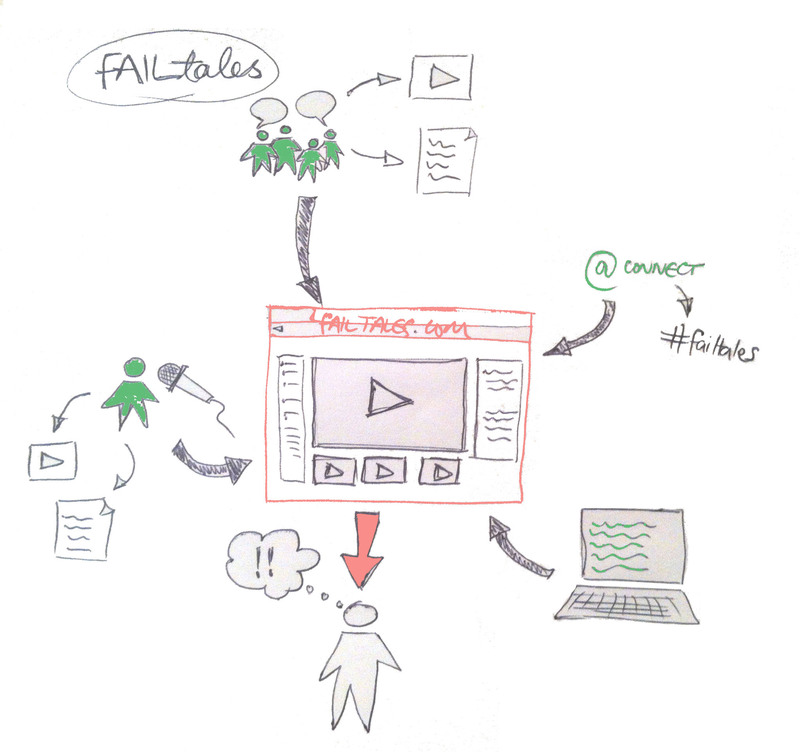 Please share your stories…send them via twitter using the hashtag #failtale, record a video and email it to me, send me web links to interesting articles or attend a conference where failure stories are told (FailCon will be holding an event in Paris on 25th September) – once the stories have been curated, the site will go live – watch this space, I’m really excited to see how far the message can be spread! 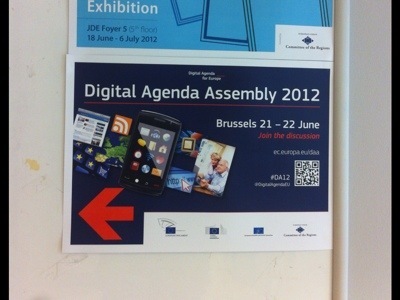 This time two weeks ago I was in the middle of a really interesting and exciting two days at the Digital Agenda Assembly, Brussels. 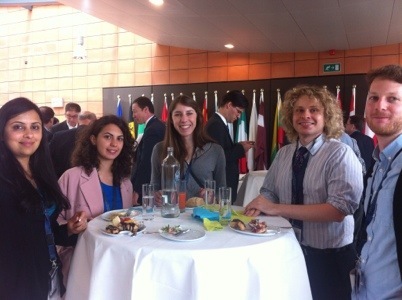 I was invited to attend by the European Commission along with the other OpenIDEO web start-up challenge winners – what an experience! 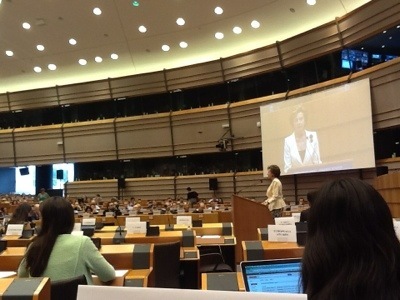 The commission had sponsored the OpenIDEO challenge and therefore invited us to Brussels to be part of the discussions and to have an opportunity to present our concepts to the group and other members of the EU Commission. 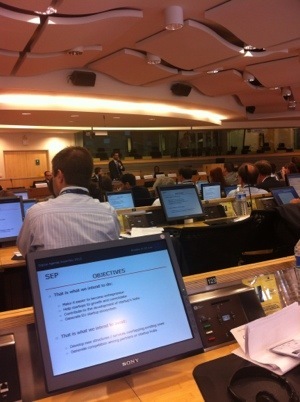 – Mobilise stakeholders’ actions to make further progress and address challenges. And the days were broken up with 8 different workshops in the European Commission on day one, (followed by an OpenIDEO specific concept workshop in the afternoon, a dinner with the commission and speakers in the evening) and day two was a plenary session in the Hemicycle room at the European Parliament. The workshop was opened by MEP, Pablo Zabla who was very clear that Europe’s barriers to innovation and entrepreneurialism are caused by low funding, increased global competition from China and India and too high a level of youth unemployment. He felt we need to grow entrepreneurs, repeat events like the DAA and encourage institutes to listen and learn. “falling down is permitted but getting up is compulsory” – this is something we should all remember! The next person to talk was Laia Pujol moderator of the innovation and entrepreneur community of Digital Agenda for Europe. Pujol summarized research findings and stated that ‘start-ups don’t grow in the EU due to a lack of funding and support’. Unlike the US, there’s a lack of entrepreneurial culture and we need to stimulate hot spots or clusters for specific entrepreneurial areas to help them grow. The problems the EU face for these to be achieved are providing internships to encourage more people into the industry, highlighting sources of funding to help entrepreneurs grow and then retaining the talent it’s created! Interestingly, 50,000 jobs were created due to the introduction of ‘Apps‘. This has clearly been a valuable new ‘hot spot’ – how can we learn from this to create another 50,000 jobs? A really poignant point that came up during the discussions was the need to find ways to listen, learn and inspire others to spark ideas. We must ‘follow our curiosities and if something disturbs you, that’s a good thing’. The first non-EU speaker was Derek Holt of StartUp America, a start-up for start-ups (who boast to have he world’s shortest URL!) who are there to help ‘inspire and celebrate entrepreneurs’. StartUp America are not there to create jobs, they are there to help others grow by taking the idea, ramping it up and speeding it up. With 1/2 million start-ups every year in the US, there’s clearly a need for an organisation like this one! Holt rounded up by saying that we must ‘celebrate failure – visibility of mistakes means you will make your own mistakes and that’s when innovation happens’. The other speakers, including Amy Bonsall and Haiyan Zhang from IDEO, Nico Perez from MixCloud, Jose Jimenez from Telefónica I+D, Spain and Gary Stewart from Wayra Spain broke off into smaller groups to talk about their initiatives, journeys and stories connected to innovation and entrepreneurship. Nico Perez gave an insightful talk about how to run a lean start-up without receive VC funding. Perez and his team spent 18 months living and working in a (not so glamorous) warehouse with no salary and no funding but the skills to get their business off the ground. Once MixCloud had built up enough traction and a good user base it was time to go looking for investment – even at this stage it was taking too long to negotiate a deal, by which point they had already started building revenue. Interestingly, their lawyer turned out to be their most useful mentor; someone who had worked with similar companies in the past. They realized early on that they were forced to work out a robust business model as cash flow was their life line. His advise for determining a budget and forecast for a start-up is to talk to others in a similar situation. ‘start collecting data points from your network to try and estimate your budget as best as possible’. The other area of advise was to do with building your online community, a problem that many start-ups face. The ‘cold start’ problem of building up a user base can be a real challenge. Perez suggested immersing yourself into the community that you want to use the site. It is essential to know and understand the desired user group and build on the network you already know. After lunch we broke off to discuss our winning challenges concepts but I will write about these in a separate blog post. 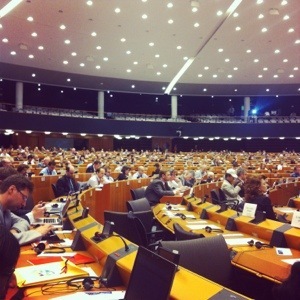 The hemicycle room in the European Parliament is an impressive room and I never imagined I’d ever get the opportunity to sit in it! ‘it is easier to steal a movie on the Internet than it is to buy one – how can we better protect our copyright?’ Alexander Alvaro, VP of the European Commission. ‘don’t forget the elderly or disabled. 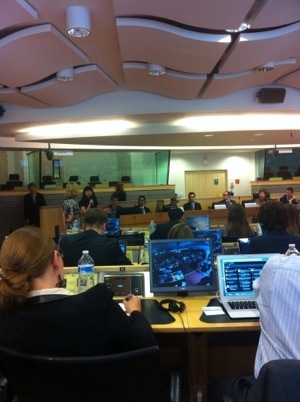 They must be art of the digital community’ Adriana Ticau, Member of the European Parliment. ‘there is a (perceived) lack of access to early stage capital and growth capital. There is a lack of entrepreneurial culture. There is a lack of acceptance to failure. The last presentation I saw was given by Juliana Rotich, executive director of Ushahidi, ‘a non-profit tech company that specializes in developing free and open source software for information collection, visualization and interactive mapping’. Rotich’s work which is mainly based in Africa but used globally, crowd sources data via an online platform. She stated that only 13% of Africans have Internet access yet they make use of all the resources that they have – Ushahidi’s work helps turn these resources into invaluable tools. Should we be supporting leaderless networks? Should we stimulate or regulate? What we need are gate keepers or trail blazers to empower and open doors. A fantastic final presentation providing a heart felt message to a very insightful, information filled couple of days. I captured all these quotes, lessons and insights but what did I learn? Europe has the right people to help nuture and grow digital entreprenurial start-ups but access to funding and support needs to be easier and more approachable. There are ways to support entrepreners better (tax relief, policy changes etc) and we need to drive awareness for a likely hood of these happening in the near future. We need to drive innovation forward making sure we use the talent of the younger generation. Failure is a known problem for start-ups – we should embrace it, change our culture and not shy away from it. The internet has so much potential, we have only scratched the surface and we need to seek out the opportunities lying ahead of us. And the last thing I want to point out is the lanyard we were all given with our name tags. 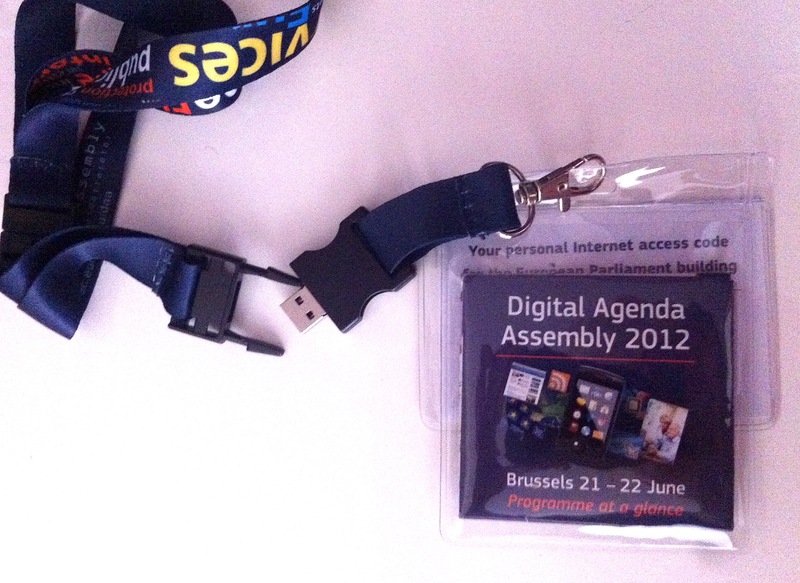 I had forgotten that the clip for the lanyard doubled up as a memory stick! A nice touch. 1. Set up our Women’s Community Centre to be the women’s safe haven. 2. Equip women with vocational skills and adult education. 3. Set up income generating activities. 4. Train women in improved agriculture and animal rearing. 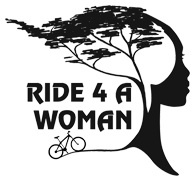 and use of bicycles, I’d love to get involved and wanted to share this discovery with everyone. I have a personal connection with Uganda and a passion for the country and realised when I visited that they face many challenges which are not always easy to solve. It was clear that women do all the hard work, that adult education is non existent and setting up income generated activities would really benefit a large number of women. They did not appear very entreprenurial but maybe this is because the women need empowering for their communities to be more successful. This type of project is an example of the type of concepts being posted by the OpenIDEO community.